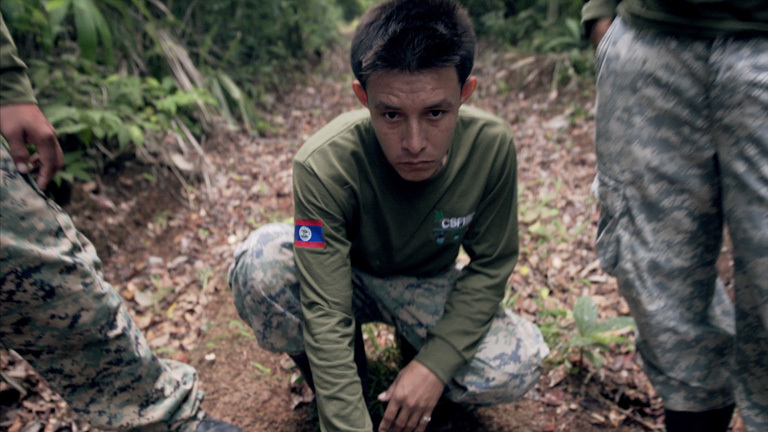 A recent investigation conducted by several conservation groups has found that working conditions for wildlife rangers in Central America are difficult and in some cases dangerous. Most of the rangers surveyed reported facing life-threatening situations during the course of their duties. However, these ‘ecosystem guardians’ also remain passionate about their role in protecting Central America’s natural treasures. Central America is home to some of the most diverse ecosystems on the planet, with its rich savannas, tropical forests and coastal dunes hosting a bounty of flora and fauna. Yet, the guardians of these places experience near-constant danger in their jobs, according to a new report conducted by Global Wildlife Conservation (GWC), Panthera, the Wildlife Conservation Society (WCS) and other organizations. The report’s authors analyzed the working conditions of wildlife rangers in more than 100 protected areas in Central America, interviewing 331 rangers from Guatemala, El Salvador, Honduras, Nicaragua, Costa Rica and Panama. “We wanted to shed light on the motivations, challenges and threats to the park rangers,” said Roberto Salom, the Costa Rica Jaguar Program director and Mesoamerica coordinator for the wild cat conservation group Panthera. A wildlife ranger in Belize. Image courtesy of WCS Belize. World Wildlife Fund (WWF) and its partners have conducted similar surveys in Asia and Africa, but this investigation was the first of its kind in Central America, the researchers said. The collaborating organizations will present the results of the survey at the upcoming World Ranger Congress in Nepal in June 2019. The researchers want to use the findings to call for improved working conditions for rangers. “This information gives us strong grounds to lobby for changes at … a regional, national and international levels,” James Slade, a wildlife crime prevention officer for GWC in South Africa who contributed to the report, said in an interview with Mongabay. Among some of the findings to emerge from the report was just how many rangers currently face hazardous work conditions. The survey revealed that almost 80 percent have encountered a life-threatening situation on the job, while two-thirds have had violent interactions with people or animals. The most common dangers reported were conflicts with community members, poachers and wildlife. More than half of the rangers reported that they have been threatened by poachers, and 48 percent said they had received threats from people in local communities. More than 40 percent have had dangerous encounters with wild animals. These figures correspond roughly with the results of WWF’s African and Asian surveys, where 80 percent of rangers in Africa and 63 percent in Asia also reported experiencing life-threatening situations. Together, the statistics paint a dismal picture of daily life for wildlife rangers. On top of these risks, nearly three-quarters of the rangers said they don’t have the right tools to ensure their own safety. Unlike in many parts of Africa, for example, wildlife rangers in Central American countries do not carry firearms in most places. But even basic defense protocols are also lacking, researchers say. 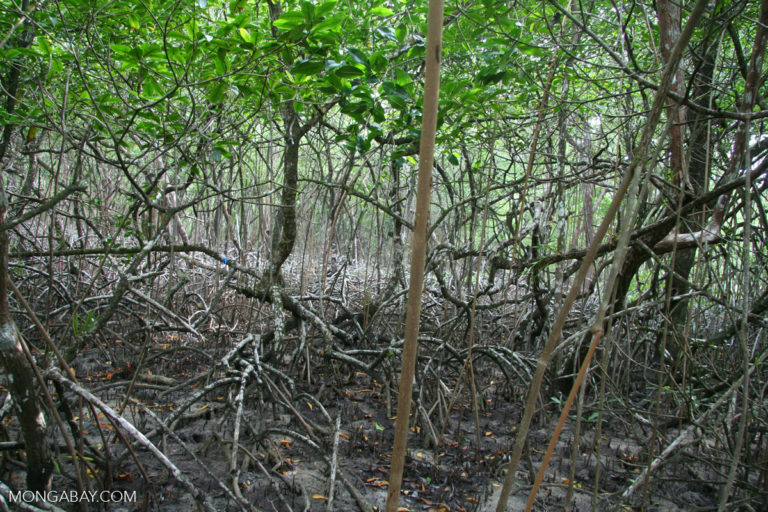 A mangrove forest in Panama, one of the Central American countries included in the report. Image by Rhett A. Butler/Mongabay. But perilous conditions and direct violence are not the only challenges that rangers face. The results also revealed substandard labor conditions, such as low job security, minimal time off and limited benefits. Half of the Central American rangers surveyed said they spend only five to 10 days a month with their families. What’s more, nearly 40 percent are on temporary contracts with no job security or clear path toward advancement, conditions that are particularly prevalent among younger rangers: Two-third of the rangers under the age of 25 who were surveyed are temporary staff. In Asia and Africa, similarly taxing conditions for rangers — in concert with an overall lack of support — cause intense mental strain and psychological stress, Mongabay reported this year. “In most countries, rangers work in subhuman conditions and without labor guarantees,” Leonel Pereira Delgado, a park ranger at La Cangreja National Park in Costa Rica, said. For Delgado, who is also the Central American representative for the International Federation of Rangers, the poor working conditions of the rangers can be traced to the indifference of government and administrative officials. “Governments don’t care about natural resources and much less who protects them,” he said. Despite the difficult circumstances, the majority of rangers — more than 70 percent — said that they wanted their children to follow in their footsteps and become rangers too. The survey results also showed that the primary motivation for most of the rangers was a love of nature and the aspiration to serve biodiversity conservation — a sentiment that Delgado shares. 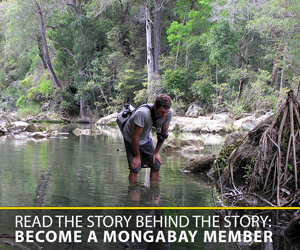 “The best thing [about being a ranger] is to be able to … protect the natural resources of my country,” he said. This deep-seated passion for nature conservation was something that took the researchers by surprise. “I was shocked in a positive way to see their motivations for their job, and that what drives them is their love for nature, and that even with all the threats and problems they face, they want their children to become park rangers too,” Panthera’s Salom said. The results also further motivate researchers from these organizations to campaign on the rangers’ behalf. 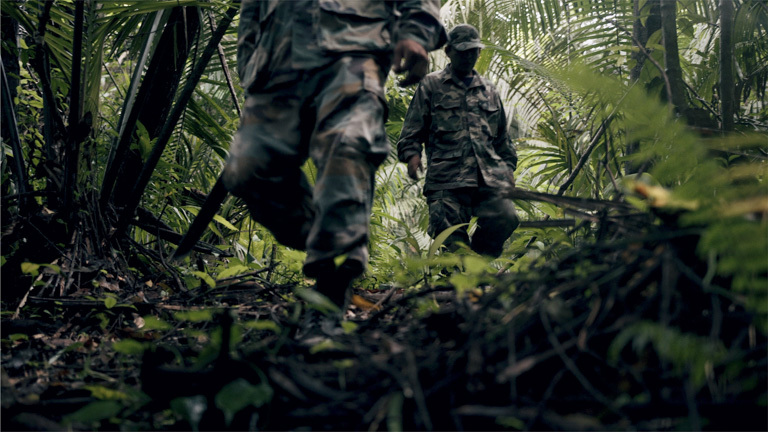 Rangers walking through a forest in Belize. Image courtesy of WCS Belize. Improving conditions for the rangers not only benefits the rangers themselves, but it’s also crucial in preserving the lands that they guard, the researchers say. “Like jaguars, park rangers across Central America serve as fearless ecosystem guardians, whose protective presence helps to determine the survival of so many threatened species and wild lands,” Salom said in a statement. Currently, almost 15 percent of the world’s land is protected, and Central America alone holds more than 400 protected areas. More often than not, these guardians are the first line of defense against the myriad threats these biodiverse regions face. As such, improving conditions for rangers, and providing the resources and support they need, is a critical part of effective conservation. “If we really want these protected areas to work, if we want the wildlife corridors to work, we really need to secure the right conditions for the park rangers,” Salom said. The authors of the report say that it’s imperative to increase job security by offering more permanent contracts to the rangers and providing clear paths for them to advance their careers. They also deserve the basics of adequate health and life insurance, as well as the resources and equipment needed to feel safe. Rangers using application that allows them to upload observations in real time from the field. Image courtesy of WCS Belize. Above all, however, the researchers maintained that the most pressing change required is for government and organizations — both domestic and international — to recognize the rangers’ vital role in protecting the most endangered natural regions of the world. Large swaths of the planet’s land are now protected, and conservationists hope that number will increase, Jordan said. The international Convention on Biological Diversity, for instance, has set a goal of protecting 17 percent of the earth’s surface and inland waters by 2020. Banner image of a ranger team in Cusuco National Park in Honduras. Image courtesy of Panthera.